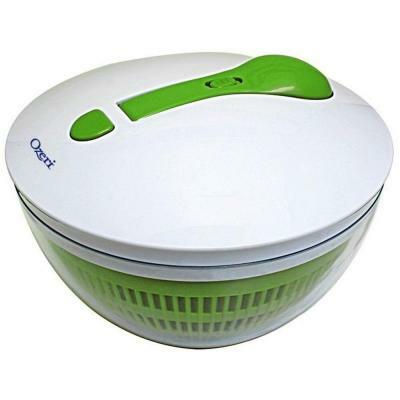 Keep your greens clean and crisp with a salad spinner. 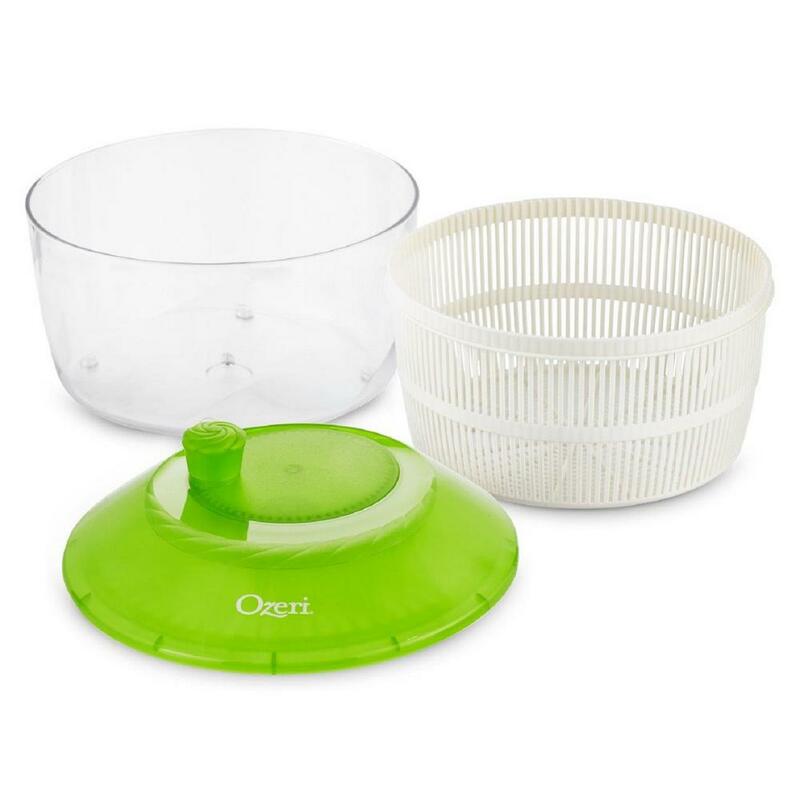 It dries greens much better than dish towels, paper towels or air-drying can for a fast and tasty salad. 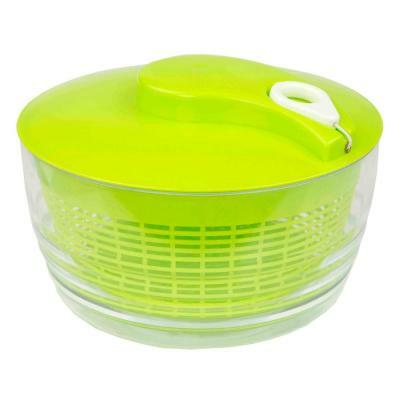 The spinner consists of a slotted basket inside a bowl. 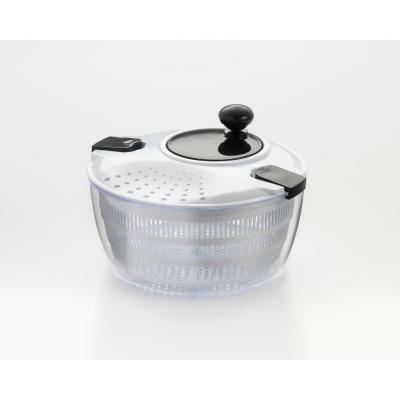 To dry your lettuce, simply affix the lid to the bowl and either turn the crank or push the button to spin the inner basket. 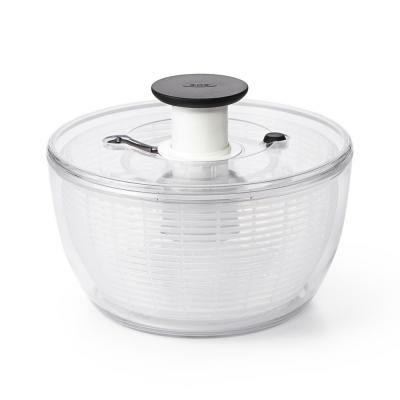 As it spins, moisture is forced into the outer bowl. 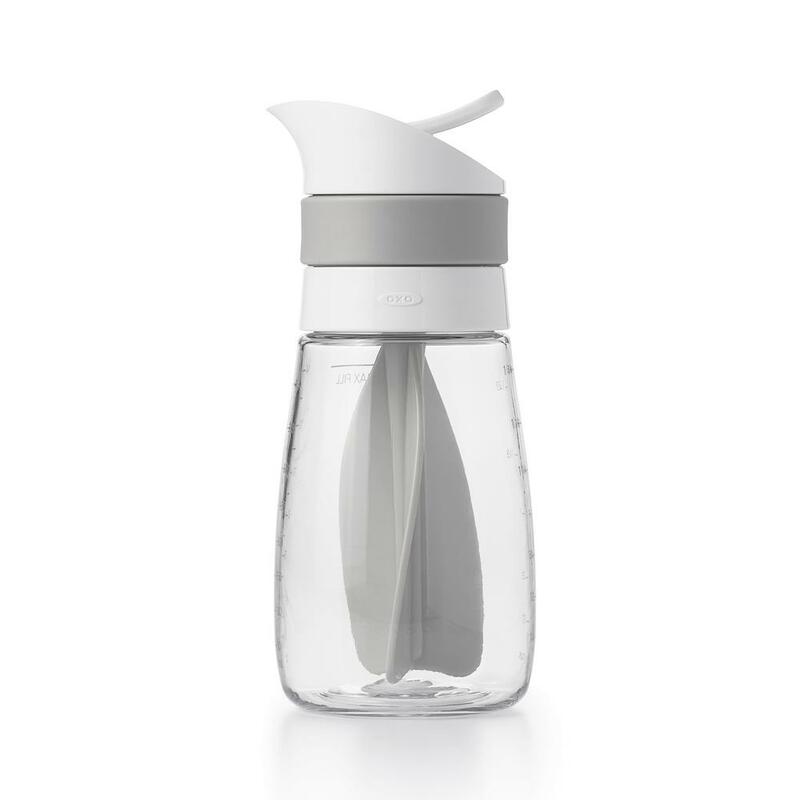 After you empty the water, the outer bowl can double as a serving bowl. 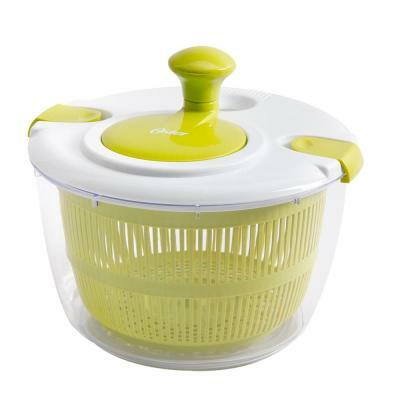 Depending on the size of your family or your eating habits, you may opt for a large salad spinner to prep your greens. 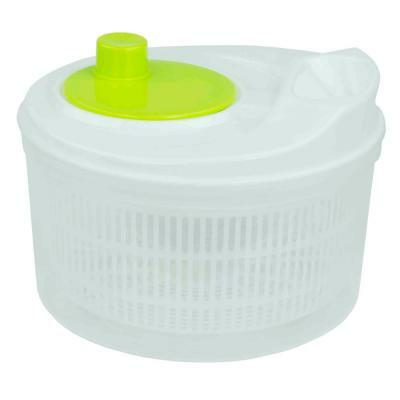 If you’re short on storage space or have a smaller family, a small salad spinner will do. ●	Pasta. 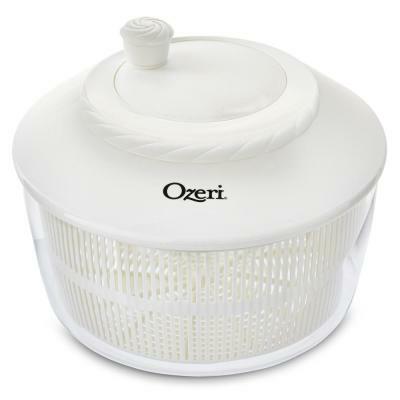 The drier your cooked pasta is, the better the sauce will adhere to it. Water can get trapped in shapes like shells and macaroni. Give your pasta a spin after you drain it in a strainer. 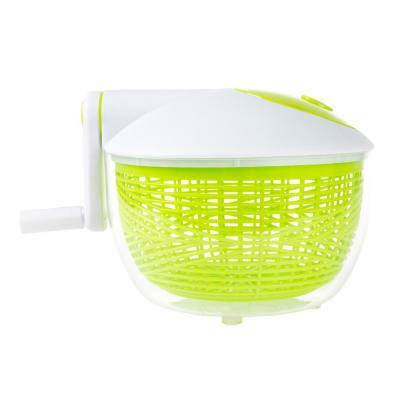 You can even use the inner basket of the salad spinner as a colander. ●	Beans. 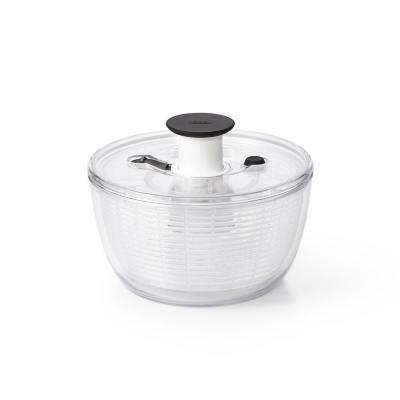 To use canned beans in salads or purees, rinse then spin them to get the remaining moisture off. ●	Fresh Herbs. Mint, cilantro, thyme or parsley can come from the market with quite a bit of dirt attached. 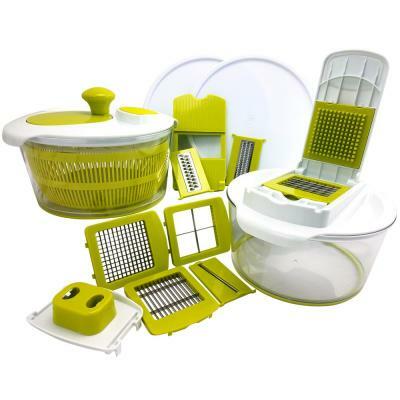 Easily wash and dry them in your salad spinner. 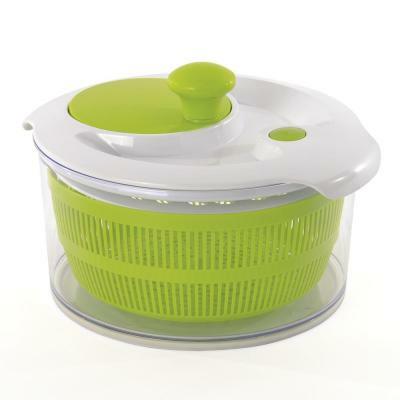 Salad spinners also make great gifts. 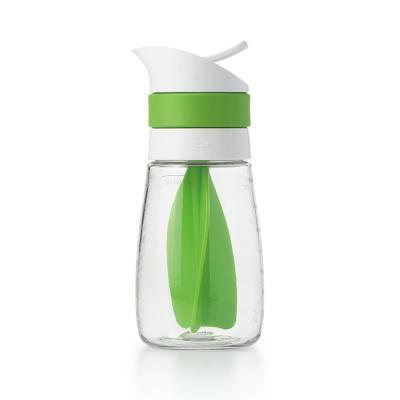 Complete your gift with a set of salad serving bowls or salad gadgets, like a salad dressing shaker. Tired of wasting paper towels on soggy produce. Then Spin'n Stor is your answer! 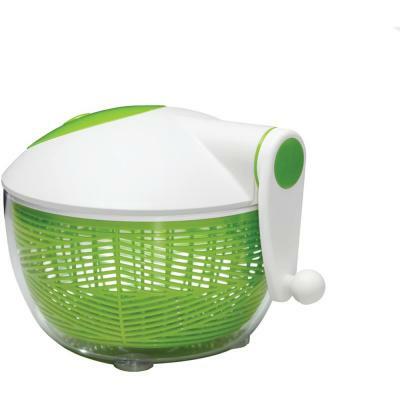 Replaces bulky salad spinners. 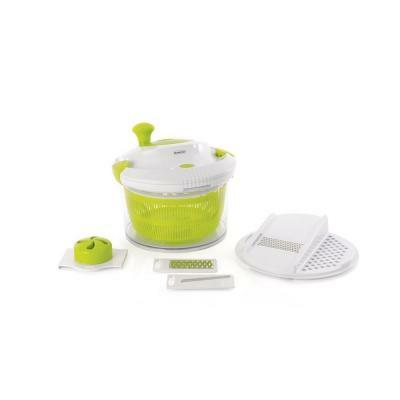 Fresh salad in minutes! Spins. Drains. Stores. 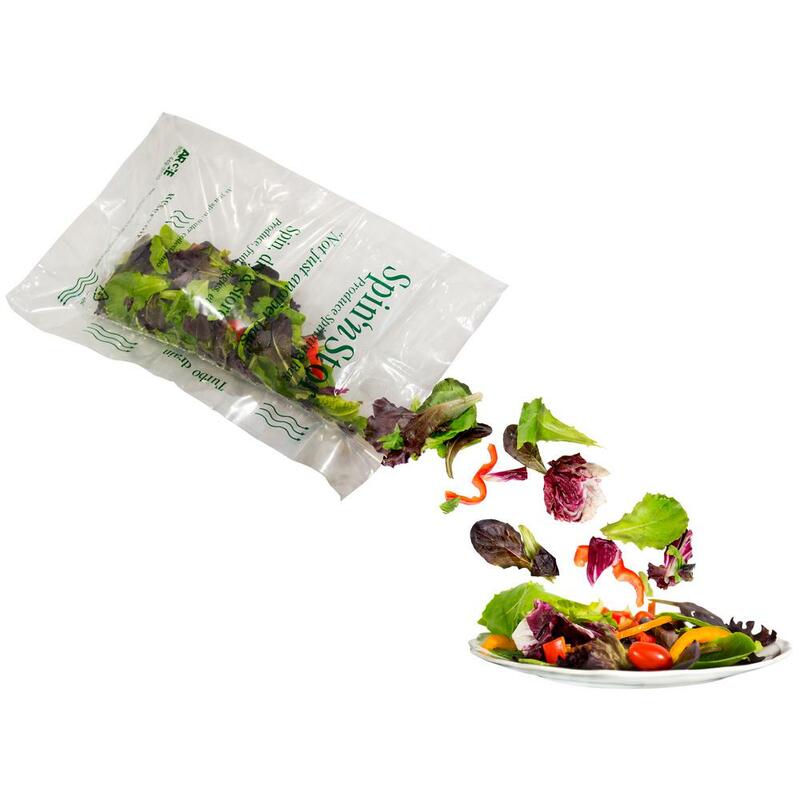 One bag does it all.Tired of wasting paper towels on soggy produce. Then Spin'n Stor is your answer! 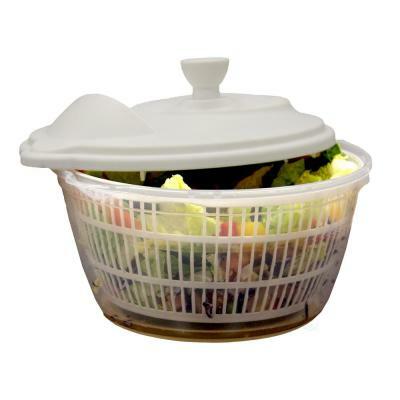 Replaces bulky salad spinners. 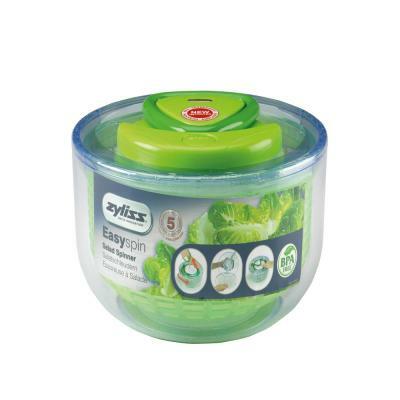 Fresh salad in minutes! Spins. Drains. Stores. One bag does it all.